When it comes to housekeeping, it isn’t just dusting, polishing and hoovering we should be considering. Neglecting our beauty tools and devices could diminish the beauty look we’re trying to achieve. We talk to Sophie Evans at Tidy London who shares some simple ways you can clean these too. We like keeping everything around us squeaky clean, right? This is what our mothers have been telling us since the dawn of age. This is how we’ve been raised and it’s something we keep coming back to. Cleaning the house takes up a huge chunk of our everyday life and it’s proven that living in a well-kept environment is beneficial not only for your overall health, but also for your mental well-being. However, the devil is in the details. It’s very possible that while trying to keep up with the bigger picture, we neglect the small things. Like our trusty beauty gadgets, for example. These little helpers are always ready to provide us with assistance and relieve us from the stress at least partially. Be it high tech beauty tools, such as: curling wands, straightening irons, face cleaners and epilators, or simpler ones, like make-up brushes, razors, and tweezers; they all need a little love and care in order to be able to serve us better and for longer. So make an effort to clean and condition them on a weekly basis and not before too long, you’ll see the results. Straighteners and curling wands tend to cling to hair products like nothing else; be it hairspray, heat protection products, or even your hair’s natural oils can build up on the ceramic plates and surfaces reducing the effectiveness of the hair styling. Your locks won’t be as shiny and bouncy as they are supposed to be for it. Luckily, we have the solution and it’s easier than you can imagine – carefully cleaning them with a piece of fabric or simply using wet wipes when cold. Just wipe the plates clean and you’re good to go. While we’re on the subject, make sure your hair brushes and combs are clean as well, for the very same reason – no one wants to distribute old products into their freshly cleaned hair. This is a painful topic for everyone who works with cream and powder-based make-up daily. There is never enough time to sit down and thoroughly clean them, even though you reach for them constantly for touch ups during the day. What can motivate you to start cleaning them more often is the fact that your skin suffers from it all. If you have stubborn acne problems, one of the potential reasons for it can be the fact that you forget to clean your brushes often enough. There are plenty of options for specific brush cleaners, but an efficient way is to use a mild shampoo and still achieve excellent results. For a green alternative, try washing them with tea tree oil and just leave them to air-dry on a towel overnight. This will improve the quality of your makeup application and keep your skin health. Like nail files, clippers, razors, and tweezers, we have some useful advice too. As a rule of thumb, go with your gut. If your razor feels weird against your skin, it’s probably time to change it, since the quality of the shave might be poor; every tenth use of it should be the last one, if you want a good performance. 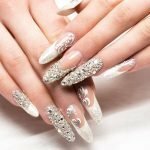 Nail files can become ineffective, if they aren’t gently scrubbed to remove all residue and debris; do this after each use and you’ll enjoy smooth and well-shaped nails. Clippers and tweezers also need disinfecting, too. The best way you can do this is by cleaning the metal with Dettol or another antibacterial liquid. There you have it; some simple solutions you can add to your cleaning rota that’ll improve not just the effectiveness of your beauty tools but your skin and hair’s health too.